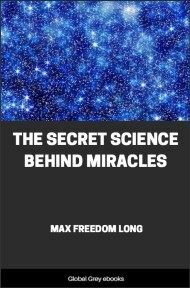 Max Freedom Long was a preeminent western scholar on the Huna, the psychological philosophies of the ancient polynesian culture that incorporated 'miraculous' events such as hands on healing, fire/hot lava walking, spirit communication and management, and psychic occurances. This text is a compilation of his case studies and field work. 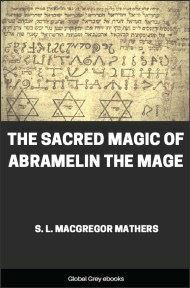 Chapters include The Practical Use Of The Magic Of The Miracle, How The Kahunas Controlled Winds, Weather And The Sharks By Magic, The High Self And The Healing In Psychic Science, The Significance Of Seeing Into The Future In The Psychometric Phenomena And In Dreams, The Incredible Force Used In Magic, Where It Comes From, And Some Of Its Uses, and, Fire-Walking As An Introduction To Magic. 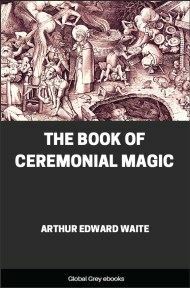 This report deals with the discovery of an ancient and secret system of workable magic, which, if we can learn to use it as did the native magicians of Polynesia and North Africa, bids fair to change the world … provided the atom bomb does not make all further changes impossible. As a young man I was a Baptist. I attended the Catholic Church often with a boyhood friend. Later on I studied Christian Science briefly, took a long look into Theosophy, and ended by making a survey of all religions whose literatures were available to me. With this background, and having majored in Psychology at school, I arrived in Hawaii in 1917 and took a job teaching because the position would place me near the volcano, Kilauea, which was very active at the time and which I proposed to visit as often as possible. After a three days’ voyage in a small steamer out of Honolulu, I at last reached my school. It was one of three rooms and stood in a lonely valley between a great sugar plantation and a vast ranch manned by Hawaiians and owned by a white man who had lived most of his life in Hawaii. The two teachers under me were both Hawaiian, and it was only natural that I soon began to know more about their simple Hawaiian friends. From the first I began to hear guarded references to native magicians, the kahunas, or "Keepers of the Secret." My curiosity became aroused and I began to ask questions. To my surprise I found that questions were not welcomed. Behind native life there seemed to lie a realm of secret and private activities which were no business of a curious outsider. 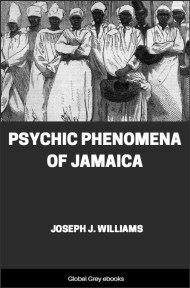 Furthermore, I learned that the kahunas had been outlawed since early days when the Christian missionaries became the ruling element in the Islands, and that all activities of the kahunas and their clients were strictly sub rosa, at least in so far as a white man was concerned. 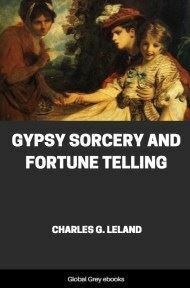 Rebuffs only whetted my appetite for this strange fare which tasted largely of black superstition, but was constantly spiced to tongue-burning proportions by what appeared to be eye-witness accounts of both the impossible and the preposterous. Ghosts walked scandalously, and they were not confined to the ghosts of deceased Hawaiians. 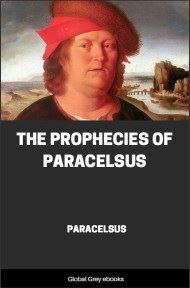 The lesser gods walked as well, and Pele, goddess of the volcanoes, was suspected repeatedly of visiting the natives both by day and by night in the disguise of a strange old woman never seen before in those parts, and given to asking for tobacco—which she got instantly and without question. Then there were the accounts of healing through the use of magic, of magical killings of people guilty of hurting their fellows, and, strangest of all to me, the use of magic to investigate the future of individuals and, if it was not good, change it for the better. This last practice had a Hawaiian name, but was described to me as "Make luck business." I had come up through a hard school and was inclined to look with a suspicious eye on anything that savored of superstition. This attitude was reinforced when I received from the Honolulu Library the loan of several books which told what there was to tell about the kahunas. 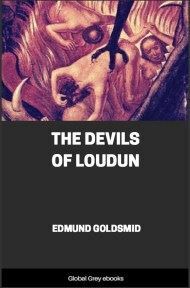 From all accounts—and these had been written almost entirely by the missionaries who had arrived in Hawaii less than a century earlier—the kahunas were a set of evil scoundrels who preyed on the superstitions of the natives. Before the arrival of the missionaries in 1820, there had been great stone platforms throughout the eight islands, with grotesque wooden idols and stone altars where even human sacrifices were made. There were idols peculiar to each temple and locality. The chiefs had their own personal idols very often, as the famous conqueror of all the Islands, Kamehameha I, had his hideous war god with staring eyes and shark's teeth. Near my school, in a district where I was later to teach, there had stood an extra large temple from which each year the priests set forth in procession, carrying the gods for a vacation trip through the countryside and collecting tribute. One of the outstanding features of the idol worship was the amazing set of taboos imposed by the kahunas. Almost nothing at all could be done without the lifting of a taboo and the permission of the priests. As the priests had been backed by the chiefs, the commoners had a difficult time of it. In fact, so great had the imposition of the priests become that, the year before the arrival of the missionaries, the head kahuna of them all, Hewahewa by name, asked the old queen and the young reigning prince for permission to destroy the idols, break the taboos to the last one, and forbid the kahunas their practices. The permission was granted, and all kahunas of good will joined in burning the gods which they had always known were only wood and feathers. The books provided fascinating reading. The high priest, Hewahewa, had evidently been a man of parts. He had possessed psychic powers and had been able to look into the future to the extent that he could advise Kamehameha I wisely through a campaign that lasted years and ended with the conquering of all other chiefs and the uniting of the Islands under one rule. Hewahewa was an excellent example of the type of Hawaiians of the upper class who possessed a most surprising ability to absorb new ideas and react to them. This class amazed the world by stepping out of a grass skirt into all the vestments of civilization in less than a generation.